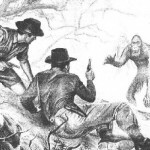 There are many cryptids that were once verified living creatures that allegedly went extinct over time. One example of this is the Honshu Wolf from Japan. At one point in Japanese history, the Honshu Wolf was a very real creature that populated the forests of Japan until they gradually went extinct. As the years since their alleged extinction have gone by, many people living in Japan have reported interactions and sightings with the Honshu Wolf, though science has not yet verified any of these claims. Is it possible that this species of wolf has not gone extinct as scientists claim? Let’s take a closer look at the Honshu Wolf in order to get a better understanding of the claims modern Japanese people are making regarding this allegedly extinct animal. The Honshu Wolf (Canis lupus hodophilax) is one of two species of wolf that once inhabited Japan. In Japanese it called Nihon Ōkami and yamainu as well as the mountain dog. 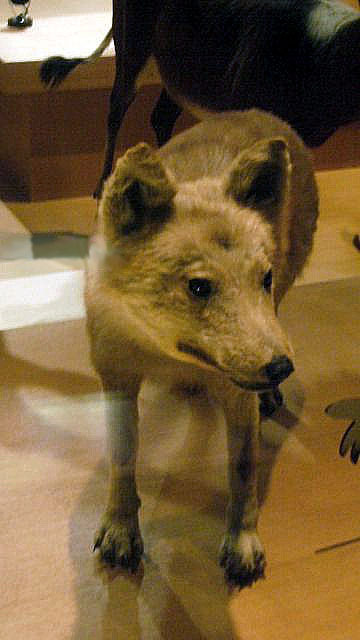 This wolf at one point primarily lived on the Japanese islands Honshu, Shikoku, and Kyūshū until 1905. 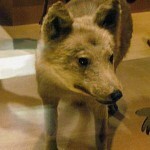 In 1905 it is alleged that the last surviving member of this species of wolf, died in captivity in Nara Prefecture. Their population overall began to dramatically decline starting around 1732 when rabies was reported to have first appeared in Japan. No one is entirely sure why the species went extinct but several factors have been thought to have been responsible for the demise of this wolf. The first contributing factor is the arrival of rabies in Japan. During the period from 1732 to 1905 many local inhabitants reported seeing sick and dying wolves, which lends credence to the idea that rabies and other contagious diseases might have been a large factor in their population decline. It has also been proposed that the rabies may have caused the wolves to interact rather aggressively with the people which led to the people responding back with aggression. Along with this is the familiar relationship between farmers and wolves, as wolves (particularly in winter months) target local livestock for easy meals. The overall idea (though this has not been scientifically proven yet) is that rabies and other diseases in conjunction with human hunting led to the overall extinction of this species. 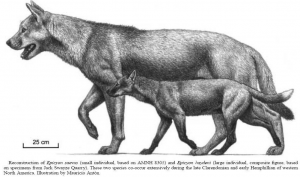 The Honshu Wolf was the world’s smallest known wolf averaging a length of about 35 inches (nose to tail) and a height of 1 foot. Physically they resembled coyotes and jackals rather than the more well-known wolves of North America and Europe. They were strictly carnivorous, primarily eating a wide range of animals to include wild boar, monkeys, deer, etc. They also ate smaller animals considered to be pests such as rodents and rabbits. They once roamed the mountains and because of this local Japanese inhabitants have long associated mountains with the Honshu wolves, seeing them as guardians and protectors of the mountains and forests. Two villages are even named after the Honshu Wolves, Okami’iwa which roughly means “Wolf Rock” and Okamitaira which roughly means “Wolf Plateau”. There are many local legends that elevate this wolf to more spiritual realms, placing them as protectors of travelers for instance. There are also legends of abandoned infants being raised by these wolves which are similar to many other wolf legends from various parts of the world. The spiritual form of this wolf is called makami and has several shrines in different parts of Japan dedicated to it. Makami as the spirit is believed to understand human speech, offer protection, and reward those who do good as well as punish those who do great evil. There are some people who are avidly researching the idea that this wolf could still exist, one example being a man named Hiroshi Yagi. Hiroshi Yagi has spent 40 years researching, searching for, and studying sightings of the Honshu Wolf, convinced that this wolf still exists. 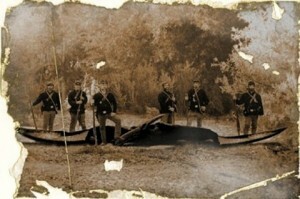 Sightings have been reported since the 1905 alleged extinction which include a report that a wolf was killed and photographed in 1910. Many have reported seeing this wolf, hearing it, and even interacting with it in various parts of Japan though currently there have been no scientific verifications of these claims. Yajima, Daisuke. “Man continues 40-year search for extinct Japanese wolf.” The Asahi Shimbun. The Asahi Shimbun Asia & Japan Watch, 23 Jan 2013. Web. 25 Jun 2015 http://ajw.asahi.com/article/behind_news/people/AJ201301230008. “Honshu Wolf.” Wikipedia. Wikipedia, Web. 25 Jun 2015. https://en.wikipedia.org/wiki/Honshu_wolf. 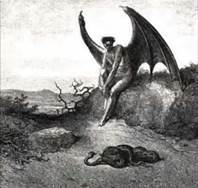 Lucifer, along with those other fallen angels, became twisted and perverted by their fall. They retained though many of their angelic powers but found that God had placed limits on what they could and could not do. Even in their fallen state, the demons are subject to God’s will like any other part of creation. They roam the earth seeking people to victimize as St. Peter points out in 1 Peter 5:8, “Be of sober spirit, be on the alert. Your adversary, the devil, prowls around like a roaring lion, seeking someone to devour.” Christians are taught that the best way to combat against the Devil and demonic forces is through our faith. Most Christians refer to Ephesians 6:10-17 as the way in which one can defend and move against demonic forces. Last of all I want to remind you that your strength must come from the Lord’s mighty power within you. Put on all of God’s armor so that you will be able to stand safe against all strategies and tricks of Satan. For we are not fighting against people made of flesh and blood, but against persons without bodies—the evil rulers of the unseen world, those mighty satanic beings and great evil princes of darkness who rule this world; and against huge numbers of wicked spirits in the spirit world. So use every piece of God’s armor to resist the enemy whenever he attacks, and when it is all over, you will still be standing up. But to do this, you will need the strong belt of truth and the breastplate of God’s approval. Wear shoes that are able to speed you on as you preach the Good News of peace with God. In every battle you will need faith as your shield to stop the fiery arrows aimed at you by Satan. And you will need the helmet of salvation and the sword of the Spirit—which is the Word of God. Christians believe that through our faith in God we can not only defend ourselves from demons but we can also fight back against them. Many Christian denominations feature offices or people who are trained in that denomination to handle demonic cases. In Catholicism for example, Exorcists are Priests who have undergone specialized training that equips them for ministry work that involves possessions and demonic issues. Different denominations have different ways of approaching spiritual warfare though so not all agree on who can and cannot participate in certain areas of spiritual warfare. Demons in the Christian religion are seen as fallen angels who possess a lot of supernatural power. They, like humanity, have free will and at one time decided to rebel against God. Demons, unlike humanity, do not have the ability to repent of their sins and thus are stuck with the decisions that they made. This is one reason for their hatred against humanity. They also hate humanity because we are made in God’s image and thus we reflect God which is a constant reminder of what they lost. They also hate humanity because of humanity’s relationship to God and God’s ultimate love for humanity. This inspires jealousy in them and they also believe that by destroying humans one by one, they can get even with God. 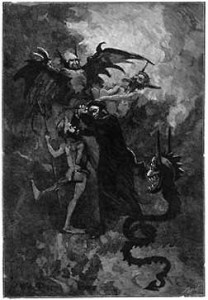 What is demonology and what is the Christian perspective on demons and their activity? Demonology is essentially the study of demons and their activity. Demons are fallen angels that harbor a great hatred for humanity. They have never been human and never will be. They are fallen angels that decided to join Lucifer in his rebellion against God. Lucifer (along with 1/3 of the Heavens Host) was defeated by St. Michael and cast to the earth with all the angels that followed him. They roam the earth seeking souls to ruin and St. Peter warns us to be on guard against them. They have many abilities and powers that we humans do not have. However through the grace of Jesus Christ we can cast them out. Demons have free will (having been created as angels) and are very old. They are immortal beings that do not die, get sick, or grow old like we humans. However they are limited in that they are not on God’s level. They do not know all things nor are they capable of being everywhere at once like God is. They are created creatures and they can not surpass their Creator no matter how much they wish too. Demons hate human beings for a few reasons. The first is that they hate us because God loves us. They desire to get back at God and so by leading souls to ruin they feel they are getting their vengeance. Second reason is that we are made in God’s image. Every time they see us, they are reminded of God and what they lost. They hate the image of God and wanted to destroy it, thus they vent this hatred on us since they can’t actually destroy God. Lastly, God’s love for us is unparalleled in all of His creation. God loved humanity so much that He sent His only begotten Son to die for the sins of mankind. God established a new covenant with mankind that freed us from the chains of eternal death and ushered us into everlasting life through Jesus Christ. No other creature can boast of such a thing because God offered this gift to mankind. Demonologists are people who specialize in helping people in demonic situations. They are usually lay people who deal with infestation, oppression, and report possible possessions to Clergy. They are called by God to this ministry and Demonologist take such callings very seriously. 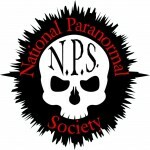 They spend a lot of time studying demons and their activity as well as getting hands on experience by actually getting involved in cases. Demons ultimately desire to lead souls to ruin. However we have protection through God. We can turn to our Clergy, Demonologist, Deliverance ministries, etc and receive spiritual help in the name of Jesus Christ. Demons may be powerful and immortal beings, but they are not greater then God and through Jesus Christ we can overcome the wiles of the enemy. Demons are masters of deceit and manipulation, they know all our weaknesses but through Jesus Christ we can find the strength to stand against their attacks. This is why it is so important to keep our faith in God strong at all times, as St. Peter cautions us to do. The wand is perhaps the most well known tool when it comes to the occult and all things magick related. The wand has been used for thousands of years in religious rites, ceremonies, and magickal workings. The wand is what is called a “focusing tool”. In other words, the practitioner wielding the wand, directs their own personal energy through it, in order to direct that energy toward achieving a magickal goal. Wands can be made of any material, indeed they range from stone to glass, metal to wood. There are advantages and disadvantages to making wands out of each material so its highly encouraged to know all about the material before you choose to fashion a wand from it. The most common material wands are made from, is wood. Wood is abundant and every where. Indeed one could simply find a stick outside and fashion a wand from it with relative ease. Each different type of wood has its own magickal energy or attribute that is carefully kept in mind by the practitioner. Often wands are decorated with various things like feathers, beads, strings, crystals, etc. Also a lot of wands, particularly wooden wands, have symbols burned or carved into them that represent different things. Often times wands have a crystal attached to the tip that amplifies that wands power and indeed helps amplify the energy being used in the magickal ritual. Wands can be made or bought, indeed today many online Pagan stores have sections devoted to hand made wands of various types, shapes, sizes, and prices. Wands have been seen in many cultures for various purposes over the course of human history. Some cultures have had leaders carry wands as a symbol of power and political office. Others have had wise men and women carry them, healers have carried them, priests of various faiths have used them. Indeed it would seem the wand is perhaps the most universal tool in magickal history. The Egyptians used to bury their dead with all of their possessions, so that the human soul could use these objects in the after life. There have been bodies found with wands, particularly from the Pharaonic period of Egyptian history. In mythology many special people (and deities) were seen to carry wands. Hermes the Messenger God and Son of Apollo, carried a wand. Circe the Greek Sorceress carried a wand that she used to turn men into pigs. Merlin was often depicted using a wand as well as a staff, the Druid’s were some times depicted as carrying wands as well as staffs, and many who practiced divination in ancient times were said to have carried wands that allowed them to foretell the future. As you can see, wands have a very ancient history both magickal and mundane. In this article we are going to take a look at the famous Loch Ness Monster! There have been many sightings of this creature over the years, most of them in the modern times. There have been many photos, videos, and audio samples turned in, with people claiming to have found proof of this creatures existence. Most were found to have other explanations behind them, some were hoaxes designed to attract fame and fortune, and the rest were inconclusive. The Loch Ness has also had many theories created to try and explain what is in there. There are theories that talk about the Loch Ness Monster being a dinosaur that survived the extinction, being a magickal beast that can travel between dimensions, being a misidentified animal, and being an undiscovered species of animal that had survived, unnoticed for centuries. Regardless of your personal feelings towards this beast, the fact remains that this cryptid has enraptured the minds of not only the Scottish, but the rest of the world also. So it certainly warrants further exploration and study. We will start with the earliest known sighting of the Loch Ness Monster, called Nessie by many. The earliest known sighting of Nessie comes from the 6th century tale of Saint Columba. Saint Columba visited the Scottish Picts while doing missionary work and encountered a man burying another man near the loch. He inquired as to what had taken place, where he was given the account of the deceased man being killed by a large water beast. Saint Columba had one of his followers then swim across the Loch as bait for the water beast. Sure enough, the water beast arose to kill the man and Saint Columba repelled it with his faith in the Christian God. There is a lot of debate regarding whether or not this account actually talks about Nessie or refers to a different animal all together (some believe its simply a tale designed by the Church to awe the Pagan masses in Scotland) however many people point to this tale as a foundation for their belief that Nessie has always inhabited the Loch. The modern interest in the Loch Ness Monster started with the account given by George Spicer and his wife, in 1933. They claim they were driving when a large beast, which they described as having a physical appearance that lined up with the majority of modern descriptions (except they could not see any limbs, they believed a dip in the road kept them from seeing its limbs) regarding Nessie. Also in 1933a man named Arthur Grant, a vetrinary student, claimed to have hit Nessie while driving his motorcycle. He claimed that the creature he hit, looked like a seal mixed with a plesiosaur. Lastly in 1933 construction workers claimed to have spoted the creature multiple times as they were working on a road near the Loch. In 1938 a police chief in Scotland, wrote an official letter stating his beliefs regarding Nessie being real and talking about a group of hunters determined to bring Nessie in, dead or alive. 1954 sonar contact was made with a strange object or creature, by the fishing boat, Rival the third. According to the statements of the crew, this strange object kept pace with their fishing boat for almost half a mile. They claim the sonar pinged on some thing that was roughly 480 feet below the water. The earliest known photograph to be captured was by a man named Hugh Gray in 1933. He claimed he saw Nessie rise up from the lake so he snapped a few pictures. Only one picture turned out and in it, is a rather blurry image of what appears to be an animal in the water. The most famous picture and indeed the most controversial, is the Surgeon’s Photograph that was taken in 1934 by a man named Robert Wilson. Wilson, a respected doctor in his field of medicine, claimed to have spotted Nessie. He then reacted by snapping a few pictures. One turned out to show what looks like a large animal, with a horse like head and long neck swimming slightly above the water’s surface. 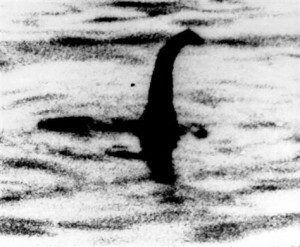 The photo is black and white, very blurry but one of the most clear photographs ever captured of Nessie. Many attempts have been made to capture evidence of Nessie from Sir Edward Mountain’s 1934 attempts to BBC’s widely watched special in 2003. Monsterquest even attempted to find the Loch Ness Monster as the subject of one its episodes. So far no concrete evidence has been found of Nessi’s existance. Though the hunt still continues!